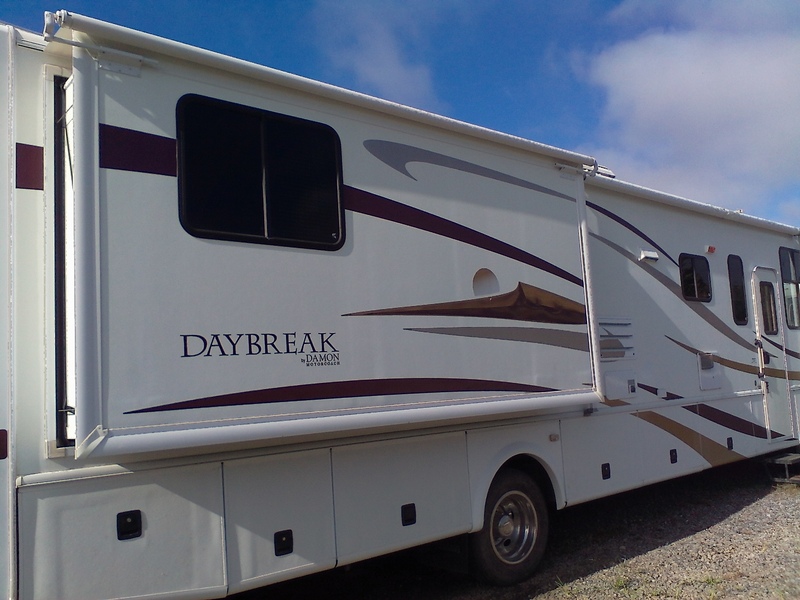 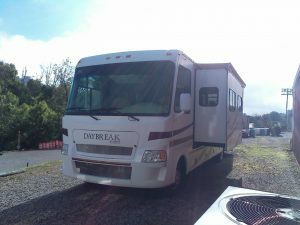 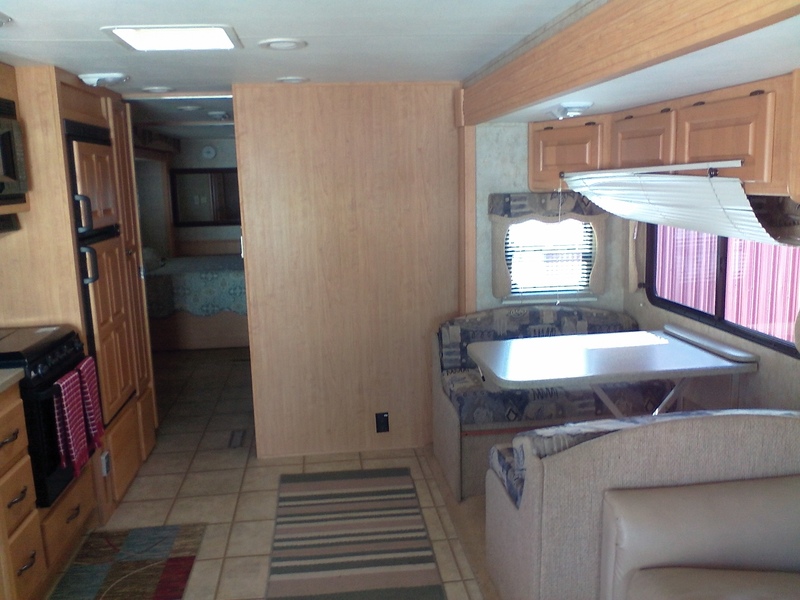 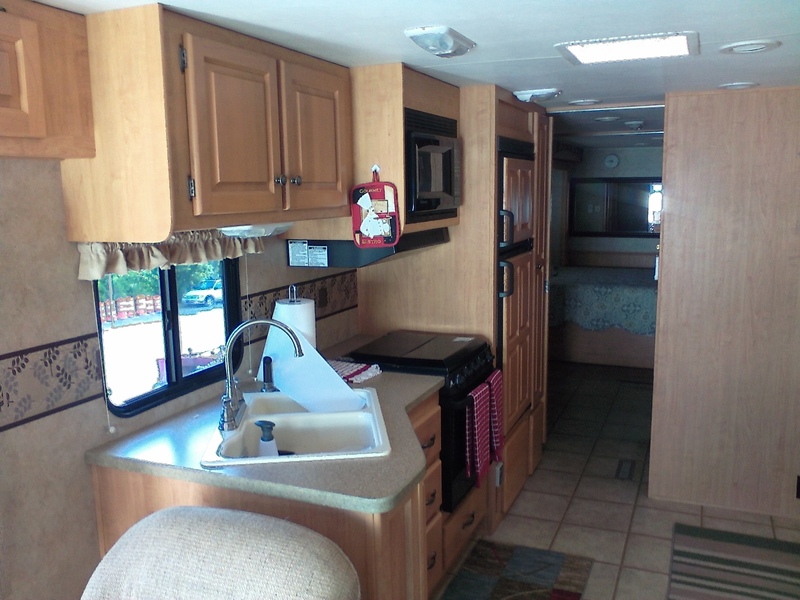 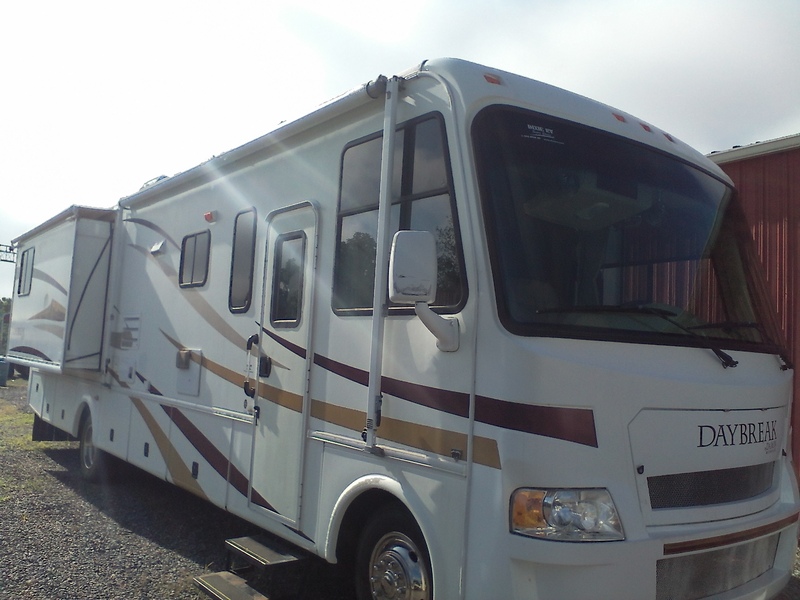 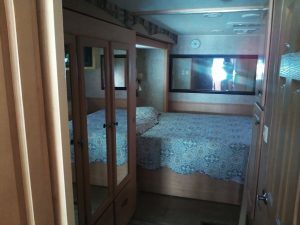 Camper Number 8 is a 34 ft.Day Break Class C RV with 2 slide outs. 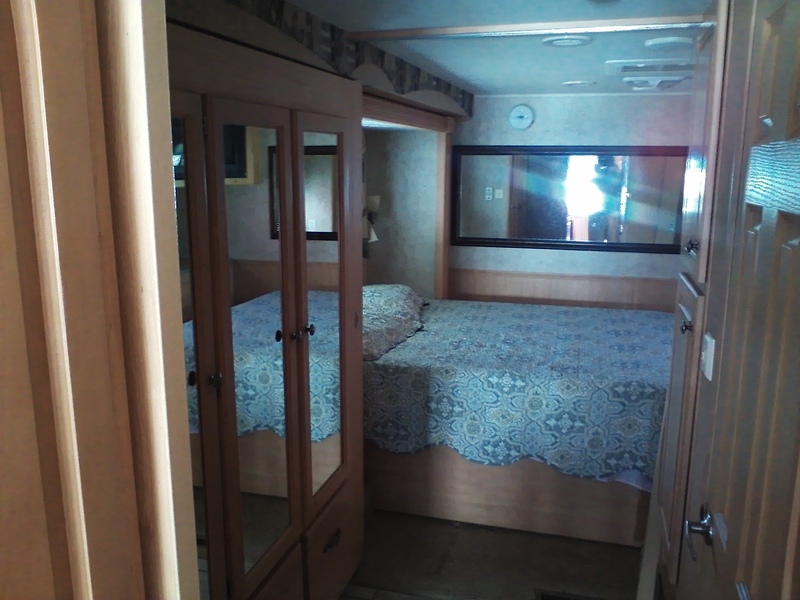 It sleeps 7 to 8 people. 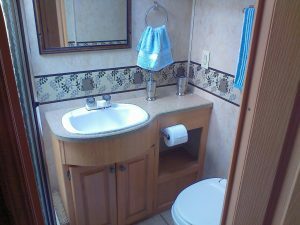 All of our rental trailers include a full kitchenette consisting of stove-top and oven as well as microwave and refrigerator / freezer. Camper #8 rents for $1,800 per week and this includes site setup, electrical, and water. 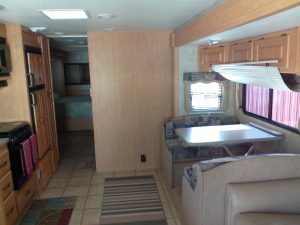 $1,800 gets you everything for the week!